Neal Barrett, Jr., 84, author of acclaimed fantasy The Hereafter Gang (1991) and a number of celebrated short stories, among other works, died January 12, 2014. Barrett began publishing SF with “To Tell the Truth” in Galaxy (1960). His notable short fiction includes “Perpetuity Blues” (1987), Hugo and Nebula Award finalist “Ginny Sweethips’ Flying Circus” (1989), Theodore Sturgeon Memorial Award finalist “Stairs” (1989), “Cush” (1993), and “Radio Station St. Jack” (2008). His short work has been collected in Slightly Off Center: Eleven Extraordinarily Exhilarating Tales (1992), World Fantasy Award finalist Perpetuity Blues and Other Stories (2000), A Different Vintage (2001), Way Out There (2004), and retrospective Other Seasons: The Best of Neal Barrett, Jr. (2013). His first novel Kelwin appeared in 1970, followed by The Gates of Time (1970), The Leaves of Time (1971), Highwood (1972), Stress Pattern (1974), The Karma Corps (1984), The Hereafter Gang (1991), Interstate Dreams (1999), PIGGS (2001), and Prince of Christler-Coke (2004). Series work includes the Aldair series, the Through Darkest America duology, and the Finn, the Lizard Master books. He wrote mysteries, Tom Swift and Hardy Boys novels under house names, and numerous comic and media tie-in novels. Barrett was born November 3, 1929 in San Antonio TX and grew up in Oklahoma City OK. He was toastmaster at the 1997 Worldcon in San Antonio, and was named Author Emeritus by SFWA in 2010. For more, see his entry in the Encyclopedia of Science Fiction. 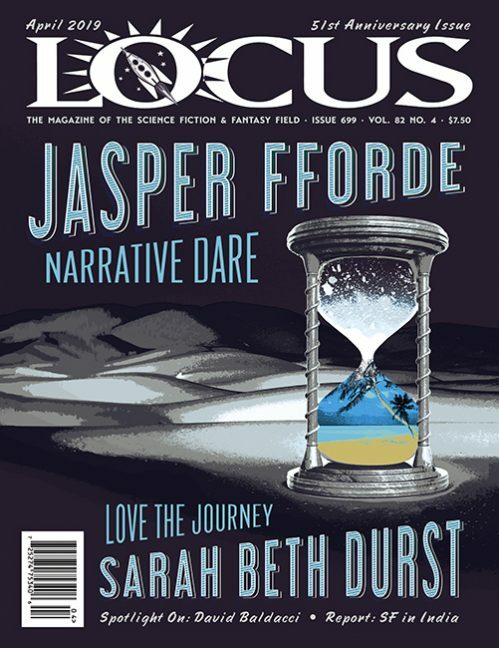 See the February issue of Locus for a complete obituary.